I often wonder what the dull suits think of us sparky young punks. I’d love to be a fly on the wall in one of our competitor's offices and find out exactly what goes on in their heads when someone mentions Reward Gateway - do they admire us, do we annoy them, is our “good luck” about to end? We don’t have too many close friends in the reward industry really - we’ve always pushed the boundaries in the employee benefits market. You might remember back in September 2010 when we ran the “Benefits Revolution” campaign in disguise; we had two billboards outside the venue for Employee Benefits Live declaring “Flex is dead”, wraparounds on EB Magazine, not to mention a video and a website for people to register interest. We then revealed ourselves as the culprit behind this provocative campaign at EB Live, effectively sticking two fingers up at the industry. This was probably where we began to stand out as a serious competitor - not just some young start-up run by a bunch of kids on the back of an envelope with some offers, but a serious contender to the big boys of flex. So, four years on, what does the industry think of us now? Have we proved our worth, or is our luck running out? I would argue that we are continuing to prove our worth, but then I’m biased. But let’s look at the facts, this year alone we’ve just acquired a digital company Dazines, which has nearly tripled our development team, we’ve partnered with a provider in South America, drastically changed our product pitch in the US and restructured the UK Client Services team, in just 3 months. What have the other big players done in the last three months? Probably not a lot. Definitely not anything innovative at least. So what sets us apart? It’s our culture - always has been and always will be. You walk into any of the other players’ offices and you can feel the life being zapped out of your soul by their attitudes, their big price tag around an outdated offering, their red tape. 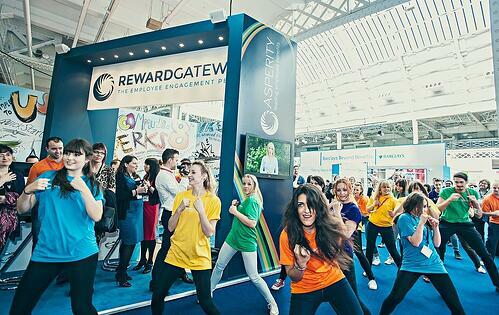 Reward Gateway is the complete opposite, yes we are young, but what comes with youth - ideas, energy, fun, dedication. The majority of our workforce are under 30 and brimming with ideas and enthusiasm - the very premise of “can-do”. No idea is shunned because “it’s too hard” or “that’s not how we do it”, and most ideas or new processes are implemented in a matter of days. “No” and “failure” are two words which do not exist at Reward Gateway; we’ll give everything a go at least once! And this is what causes envy in the industry - the fact that we can just do exactly what we want and what our clients want. Which is to deliver an innovative, engaging product with excellent service in an environment where people are happy to come to work because that’s where they thrive. A very simple formula. Motivate your young audience for results - easier said than done right? We have a very open culture at Reward Gateway, everyone is in the loop with what’s important, where we’re going and what we need to do to get there. People appreciate this honesty and feeling that they are really are part of the business, especially the younger, less experienced audience. Treat your young staff with respect, trust and openness and you will see the motivation in your results.